The desire for driving on the streets of European cities like Athens and Madrid behind the wheel of a highly powered Italian race car, Ferrari GT can now be fulfilled on your iPhone. 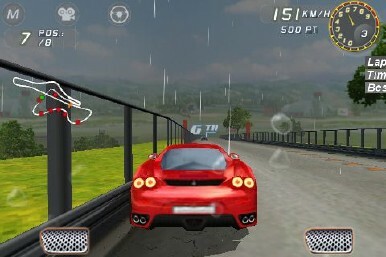 Gameloft introduces the highly entertaining Ferrari GT evolution exclusively for iPhone. 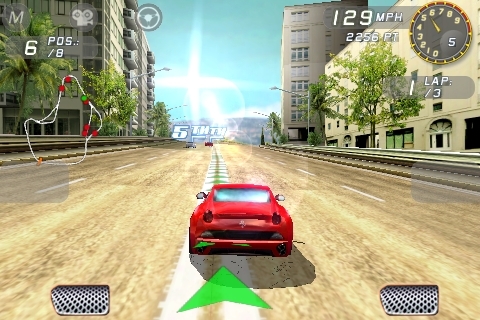 The main purpose of the game is to entertain iPhone users by testing their skill for handling the massive horsepower of pedigree Ferrari sports car. It would be highly disappointing to underestimate Ferrari GT Evolution as the game consists of 33 different models in all. Ranging from everything like the classic Testarossa and the 250 GTO to the latest generation models like California and F430. And with the game running on iPhone, its more than just a cosmetic difference. Each car handles a bit differently with different acceleration and handling around tight turns and corners. Ferrari GT Evolution features three different control features – to control your ride, you may steer with your finger using an on-screen wheel, tap in the direction you want to move your car or turn the iPhone or iPod touch using the accelerometer. Ferrari GT Evolution is compatible with every iPhone or iPod touch which operates on a iPhone 2.2 software update. Jailbreak app: “Pull to refresh” your mail. Awesome….. can’t wait to get my hands on it! !